Splinters are tiny pieces of wood, glass, or metal that lodge under the skin, usually in the finger. Most people know that even the smallest splinter can cause much pain and discomfort. Furthermore, if it is not removed, it can cause an infection to develop, which may increase pain. However, sometimes, removing a splinter improperly can also lead to complications that lead to infection. Here are some ways to deal with a splinter properly. There are many ways to remove a splinter, but first you must learn the common steps involved. Avoid Squeezing. Never squeeze out a splinter while trying to remove it. It may break into smaller fragments, which would be more difficult to remove or it may become embedded deeper into the skin. Wash and Dry the Area. Before trying to remove a splinter, wash and gently pat dry the area with a paper towel. Inspect the Spot. Inspect the area using a magnifying glass to see how big it is and how it is angled in the skin. Remove Splinter. There are various ways you can take off the splinter from the skin and you can choose from those described below. Clean the Spot. Aside from washing your hands, you can apply an antibacterial ointment and bandage until the spot heals. Watch out for redness, swelling, and pus, which indicate infection. 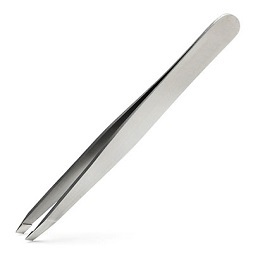 This is a painless way to remove a splinter, but it will take a day to accomplish it. 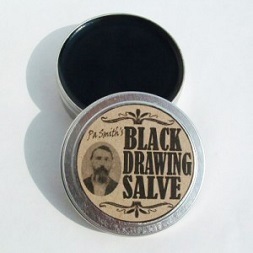 Purchase an over-the-counter ointment called Ichthammol (black drawing salve) from a pharmacy. It is a greasy material with an unpleasant odor. Place a small amount of the ointment on your splinter and cover it with a band-aid. Remove the band-aid after several hours and pick off the splinter. Use topical anesthetic or Baby Orajel for extremely painful splinters before trying to remove them. 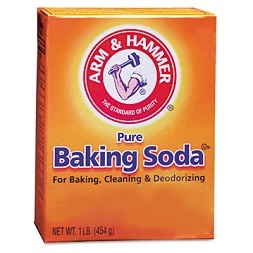 Make a paste out of baking soda and water. Apply the thick paste to the splinter. You can also spread some of this paste on a bandage, and then place it over the affected area. Remove bandage after about 24 hours. You may see the splinter sticking out of your skin. Pick off the splinter with tweezers. If splinter is not visible, repeat the process with new baking soda paste and a new bandage until splinter is gone. 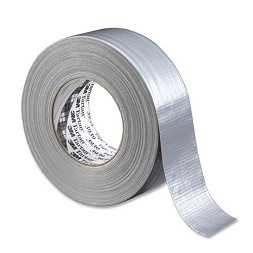 Apply a sticky tape on splinter site. Pull off the tape in the direction the splinter went into the skin. This familiar method works best when the splinter is protruding out of the skin. Sterilize the tweezers tip using rubbing alcohol. Use a magnifying glass to view the splinter under good lighting. Grab the protruding splinter with tweezers. Use the needle method if the splinter is under a thin skin layer. 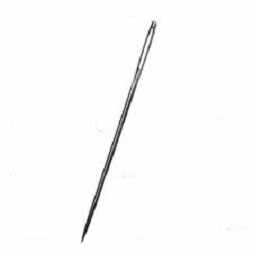 Sterilize the needle tip using rubbing alcohol. Then find the point of entry of the splinter. Stick in the needle as lightly as you can. Using the needle tip, apply upward pressure to open the overlying skin. Going a bit further, apply an upward scraping motion to pull skin apart and see the splinter. Nudge out the splinter gently. Use a pair of tweezers to pull out the splinter. This method is used for splinter that is embedded under thick, non-sensitive skin (ex. heel of the foot or finger pads). 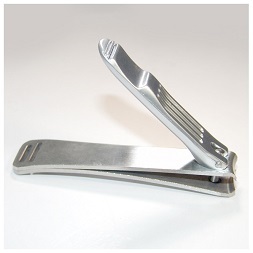 Sterilize sharp edge of nail clipper/blade using rubbing alcohol. Clip off excess skin over the splinter with nail clippers. You can also use a razor blade as in needle to cut skin parallel to the splinter. Pull skin gently to see the splinter. Use tweezers to pull the splinter out. If the splinter is not sticking out, use a needle to nudge it out before pulling it out with the tweezers. Slice a potato into pieces. Place a potato slice with the yellowish side over the splinter. Holding it over the splinter for a few minutes will help remove the splinter after a while. Avoid applying pressure. 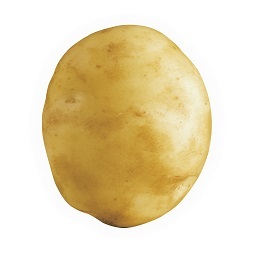 Remove the potato slice and the splinter. 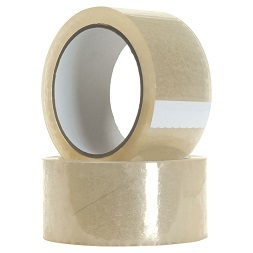 Cut a piece of packaging tape that is long enough to cover area of splinters. Apply tape over the splinter area, making sure not to put on too much pressure, but just enough to make the tape stick. Peel off the tape gently to lift the splinters away.